First fat, then carbs and now protein? Are we ever going to stop pointing fingers at individual macronutrients and acknowledge that it's our caloric excess that's making us fat? As a SuppVersity reader the notion that the BCAA levels of obese mammals are chronically elevated is no news for you. In fact, I've written about the potential link between BCAAs and obesity repeatedly over past decade and the findings have been astonishingly consistent: Branched-chain amino acids (BCAAs; leucine, isoleucine, and valine) are elevated in the blood of obese, insulin-resistant humans and rodents. What is not consistent, though, is the interpretation of this observation. In most previous articles I've highlighted that the "BCAA question" is - eventually - yet another of those nasty chicken-or-egg questions, where the accumulation of BCAAs in the blood could be both, a cause or consequence of metabolic disease. New data from the University of Wisconsin-Madison seems to tip the scales in favor of the former hypothesis: high BCAAs are mechanistically involved in the etiology of obesity. Only recently, Nicole E. Cummings and colleagues demonstrated that specifically reducing dietary levels of BCAAs has beneficial effects on the metabolic health of young, growing mice, improving glucose tolerance and modestly slowing fat mass gain (cf. Fontana 2016). Avoid those high BCAA-foods if you want to stay lean. And in fact, the results Cummings et al. present in their latest paper (read the free FT of Cummings 2017) show that "specifically reducing dietary BCAAs rapidly reverses diet-induced obesity and improves glucoregulatory control in diet-induced obese mice" - on an otherwise obesogenic diet! One that's both high in calories, high in sugar and known to trigger, not prevent the development of obesity and metabolic disease. 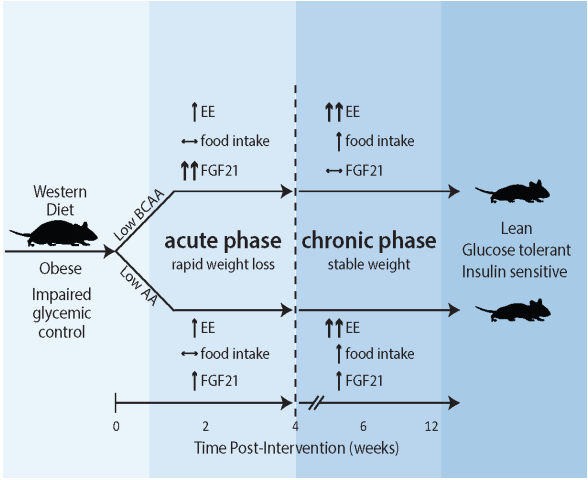 Figure 1: Reduing the BCAA (LOW BCAA) and/or total (LOW AA) content turns a western diet (WD) into a weight loss diet... one that doesn't cost you exorbitant amounts of lean mass, by the way, if you do the math, the lean-to-fat-mass ratio of the weight the rodents lost was ~50% for the LOW BCAA and 40% for the low AA group; for the normal protein diet, that's not significantly different from the ratio in the control group (Cummings 2017). This diet, we usually call it the "Western diet", will, however, facilitate rapid weight and waist/fat loss if its BCAA content is reduced by approximately 80%. What caused the weight loss? While the scientists excluded that it was "eat less and exercise more", they failed to measure the individual effect on the central nervous system, which has been found to be stimulated by Young et al. as early as in 1985 in rodents on a low protein chow. What appears to be certain is that there's a role for FGF-21, a member of the fibroblast growth factor (FGF) family, which is in line to contemporary research (Xu 2009), but at odds with the fact that FGF-21 stimulates glucose uptake in adipocytes but not in other cell types. As the scientists point out, it is important to note that "this normalization of weight was mediated not by caloric restriction or increased activity, but by increased energy expenditure, and was accompanied by a transient induction of the energy balance regulating hormone FGF21" (Cummings 2017). 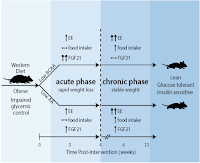 Figure 2: The scientists' analysis of the rodents' energy expenditure suggests a significant increase in daily EE that was independent of increases physical activity and not compensated by increased energy intake (Cummings 2017). This ain't the 1st study to link BCCAs/AAs to reduced weight loss. a parallel group of mice never exposed to a Western diet (was placed on a control amino acid defined diet (see Table 2 in FT). Weight and, more importantly, fat loss were yet not the only benefits the scientists observed. Their hairy subjects also saw significant improvements in glucose tolerance and insulin resistance when they were fed the low-BCAA / low AA Western diets... benefits of which you may rightly point out that they could have been a result of the profound reduction in body fat, though. Drinking BCAA all day may deplete important neurotransmitters. So what's the verdict, then? There's little doubt that a (significant) reduction of BCAA intake seems to be able to (re-)set metabolic health and energy balance in obese animals. The authors are also right to point out that this new study "suggest[s] that specifically reducing dietary BCAAs may represent a highly translatable option for the treatment of obesity and insulin resistance" (Cummings 2017)... what the study doesn't show, though, is that this is a practically feasible long-term strategy that won't obliterate obesity while inducing sarcopenia. The short-term effects in the study at hand, which found a weight-normalizing effect of BCAA/AA reduced diets do not suggest negative effects on the rodents body composition, though, as the critters "lost fat mass, including epididymal white adipose tissue (WAT), and lean mass, with a net effect of greatly reduced adiposity" (Cummings 2017)... in other words: sarcopenia probably isn't an issue. What is an issue, however, are the discrepancies between this line of research (including older studies on low-protein diets in rodents) and the evidence from RCTs in human beings which favor high(er) protein diets for weight loss (Piatti 1994; Wycherley 2012; Clifton 2008), especially if the protein comes from high BCAA sources like whey (Baer 2011) - as usual: with exceptions such as Schwingshackl 2013, whose meta-analysis concludes: "According to the present meta-analysis of long-term RCTs, high-protein diets exerted neither specific beneficial nor detrimental effects on outcome markers of obesity, cardiovascular disease or glycemic control". To disqualify the results of the study at hand would thus be premature and problematic. Just as problematic as all previous efforts to blame a single macronutrient (fat, carbs) for the obesity epidemic, by the way | Comment! Baer, David J., et al. "Whey protein but not soy protein supplementation alters body weight and composition in free-living overweight and obese adults." 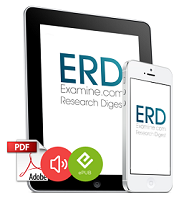 The Journal of nutrition 141.8 (2011): 1489-1494. Clifton, Peter M., Jennifer B. Keogh, and Manny Noakes. "Long-term effects of a high-protein weight-loss diet." The American journal of clinical nutrition 87.1 (2008): 23-29. Cummings, et al. "Restoration of metabolic health by decreased consumption of branched-chain amino acids". The Journal of Physiology (2017). doi: 10.1113/JP275075. Fontana, Luigi, et al. "Decreased consumption of branched-chain amino acids improves metabolic health." Cell reports 16.2 (2016): 520-530. Young, JAMES B., et al. "Increased sympathetic nervous system activity in rats fed a low-protein diet." American Journal of Physiology-Regulatory, Integrative and Comparative Physiology 248.5 (1985): R627-R637. Piatti, P. M., et al. "Hypocaloric high-protein diet improves glucose oxidation and spares lean body mass: comparison to hypocaloric high-carbohydrate diet." Metabolism 43.12 (1994): 1481-1487. Schwingshackl, Lukas, and Georg Hoffmann. "Long-term effects of low-fat diets either low or high in protein on cardiovascular and metabolic risk factors: a systematic review and meta-analysis." 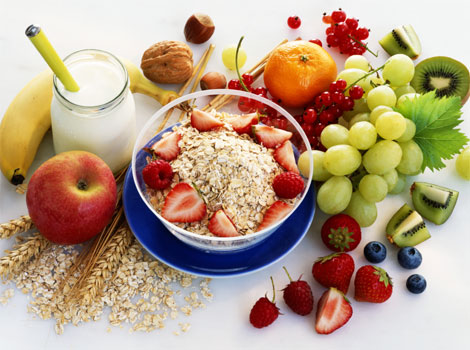 Nutrition journal 12.1 (2013): 48. Wycherley, Thomas P., et al. "Effects of energy-restricted high-protein, low-fat compared with standard-protein, low-fat diets: a meta-analysis of randomized controlled trials." The American journal of clinical nutrition (2012): ajcn-044321. Xu, Jing, et al. "Fibroblast growth factor 21 reverses hepatic steatosis, increases energy expenditure, and improves insulin sensitivity in diet-induced obese mice." Diabetes 58.1 (2009): 250-259.